YES! Magazine is offering classroom teachers and school librarians a free one-year introductory subscription to the magazine. The independent, ad-free magazine covers sustainability, peace and social justice, happiness, climate change, and more. Learn how to build your own wildlife gardens: pond, rotting log, and three more. A classroom program developed by the American Society of Landscape Architecture to engage and educate middle school students about green roofs and their environmental benefits. Curricula and resources to help students understand how rainforests contribute to our collective well-being. In the web episode, students learn how to identify energy vampires, electronic devices that continue to drain energy even when you’re not using them. This website offers interactive information about the dynamic forces that formed and continue to form the Earth and the solar system. Released three times a year, the TerraCycle Curriculum Lesson Sets each focus on a particular topic and its relationship to the materials cycle. Helping students understand "carbon footprints" and how to reduce environmental impact. Show your students the benefits of thinking green. Print these materials and hang them in your school. Materials also for sale on this site. This site offers lesson plans on arts and music, cross-cultural understanding, mathematics and more, stories, multimedia (ed videos, slide shows, posters, podcasts) and information on service learning. The NOAA Photo Library was built to capture the studies of the world’s oceans and atmosphere —throughout centuries of scientific thought and observations—from the surface of the sun to the bottom of the sea. Read kids’ stories and interviews with scientists, watch videos, look at facts and photos of animals, try activities and games. Find out what everyone’s reading about on the site. In this game, students earn points by turning lights on and off when someone enters or exits a room. Choose a creature adventure or visit the clubhouse and learn about creatures from around the world. Make a creature movie and submit it to the Kratt’s Brothers website or just watch those in the library. PBS requires registration. 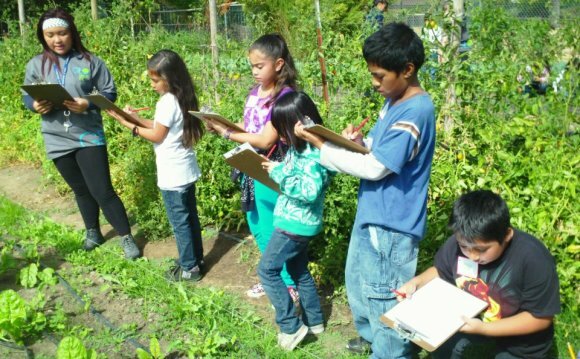 Environmental education lessons that provide step-by-step instructions and assessment strategies. People from all over the world post books, CDs, electronics, and toys they're giving away. All you have to do is arrange to pick up the items. Standards-based resources related to global issues and sustainable solutions. Designed by teachers for teachers. EekoWorld, a Web site from PBS Kids, informs K-4 students about the role they play in taking care of Earth. Colorful, engaging interactives are perfect for young students; teachers will appreciate the how-to guide and lesson plans. Energy vampires: Is it worth it to unplug your electronics? Read this blog: Unplugging isn’t the only way to save energy. Follow these simple tips and save energy and money. Read this blog: Highlights on this energy saving site include a table summarizing average, minimum, and maximum power levels observed on common devices while in standby mode. Search for information about and photographs of endangered species by state or species. Listen to an audio interview with experts. Download and print this poster, in color or in blackline for students to color. From Green Education Foundation. Resources designed to engage kids and their families in climate change by motivating them to take simple actions to conserve energy. This website offers lesson plans, games, and a classroom poster. Access climate change lesson plans, fun volunteer activities, guidelines, and tips for discussing climate change with children.